I’ve been in Europe for the past six weeks and am now catching-up on emails, snail mail and the bills that were waiting for me. 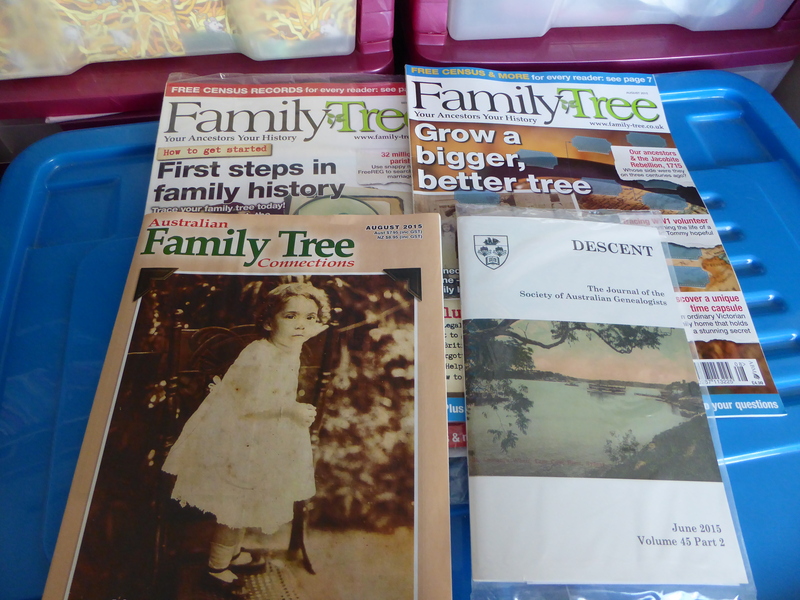 Also in my pile of mail were these; two Family Tree magazines, Australian Family Tree Connections and my Descent. Bedtime reading, me thinks. The Family Tree magazines have several interesting topics; copyright, looks very interesting in the August issue and Should you put your tree online? in the September issue, should be very interesting. I’ve just flicked through AFTC and several of the stories look good. Haven’t opened my copy of Descent, yet but am sure to find interesting articles in it. « It’s not all online! » Some useful websites for World War 1 research.